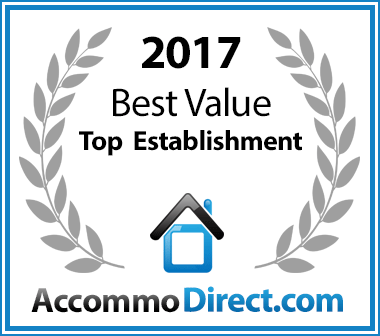 Book direct through Our website and receive a discounted rate. Only valid when prepaying via bank transfer. Valid for bookings made & paid for no later than 4 days before your arrival date. Lost Trail Bed and Breakfast is nestled in a quiet suburban cul-de-sac in the Lowveld’s capital of Nelspruit – close to schools, churches and the local golf course. Our guesthouse is ideally located for guests en-route to the Kruger National Park and Mozambique and is within an easy drive to all major Lowveld attractions and the best accommodation in the Nelspruit area. Get lost in 3200 sq.m of tropical, leafy serenity with large trees, bamboo bush and plants amongst giant rocks and enjoy the abundant bird life and koi ponds while you relax! We have recently added a work-out station. Watch & Listen to the birds in our tranquil setting while you do a cardio workout or pump some iron. The best way to tone your stress away after a busy day. 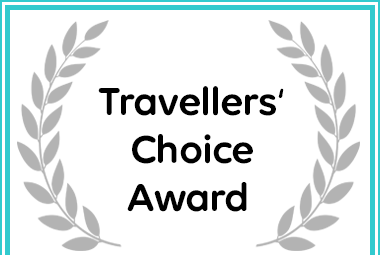 Lost Trail B&B received a Travellers' Choice Award due to exceptional customer reviews for Accommodation in Nelspruit.